The origins of the Lincoln Continental date back to 1938, when Edsel Ford commissioned a design of his own specification from Ford Motor Company’s then chief designer, for use on Ford’s 1939 spring vacation. Based on the Lincoln Zephyr’s plans, the first Continental was a convertible, featuring a long flowing hood and a short rear deck featuring an enclosed external spare tire. This styling element came to be an iconic aspect of the Continental design—appearing on every subsequent Lincoln Continental Coupe. Driving the car around tony Palm Beach in Florida, Edsel noted considerable interest in the car, which looked particularly sleek for its day. He sent a message back to HQ, saying something to the effect of build these and we’ll sell thousands of them. Over the years, he was proven quite right. That first production Continental appeared as a hand-built V12 powered model in 1940. Production ceased during World War II to concentrate on the war effort, but in 1945, Lincoln came back with a two-model strategy. The big Continentals and the standard Lincoln model range based on the pre-war Zephyr automobiles. However, this strategy was dropped in 1949. By 1956, the Continental was back. This time as a personal coupe in the guise of the Continental Mark II and a full size sedan sold as a Lincoln. The Continental Mark II car was positioned above the Lincoln marque. The 1956 Lincoln Continental Mark II was essentially hand-built like a Rolls Royce. Ford charged Rolls-Royce money for it too —$10,000 (almost $90,000 in today’s money). Even still, the cars were sold at a loss of some $1000 each. To stem the losses, the separate Mark division idea was abandoned and the mass-produced Continental Mark III replaced the hand-built Mark II, before being discontinued in 1961. Not to be outdone though, 1961 was also the year Lincoln introduced the Continental sedan model with its iconic “suicide” doors. This version of the Continental was also offered as a convertible, which made it the last American convertible four-door sedan. The rear opening doors were used until 1969. In 1968, the Mark series coupes were revived, sharing a platform with the Ford Thunderbird, for the first time, there was no convertible version of the Lincoln coupe. However, the spare tire hump in the trunk did make a comeback, mated with with hidden headlights and a Rolls-Royce-inspired grille. Those features (with the exception of the hidden headlights) would be styling hallmarks of the Mark series of Continental coupes through the remainder of their run, which terminated in 1998, with the Continental Mark VIII. Meanwhile, the Lincoln Continental sedan ran for nine generations, steadily becoming more luxurious. 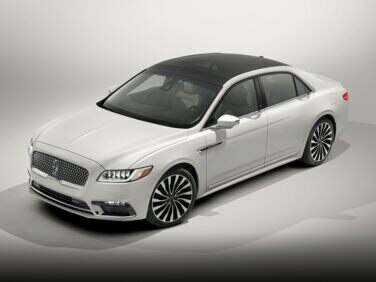 As of this writing, the last production Lincoln Continental model year was 1998, although a Lincoln Continental concept car was shown in 2002.